Very Hungry Caterpillar Craft and DIY Toy for Kids! 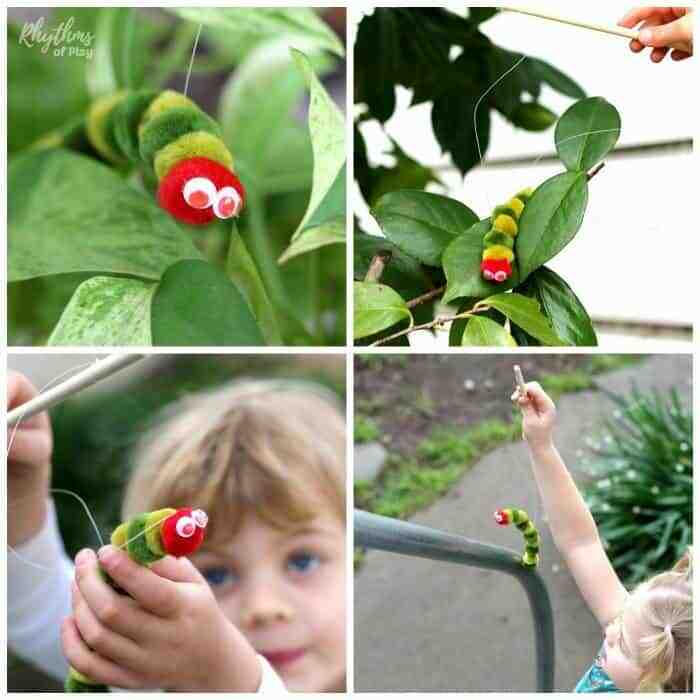 An easy caterpillar puppet craft inspired by the popular children’s book for pretend or imaginative play. This caterpillar craft can also be used in puppet shows, story baskets or as an addition to a butterfly theme or study unit. Hungry caterpillar puppets also make great birthday party favors for kids! 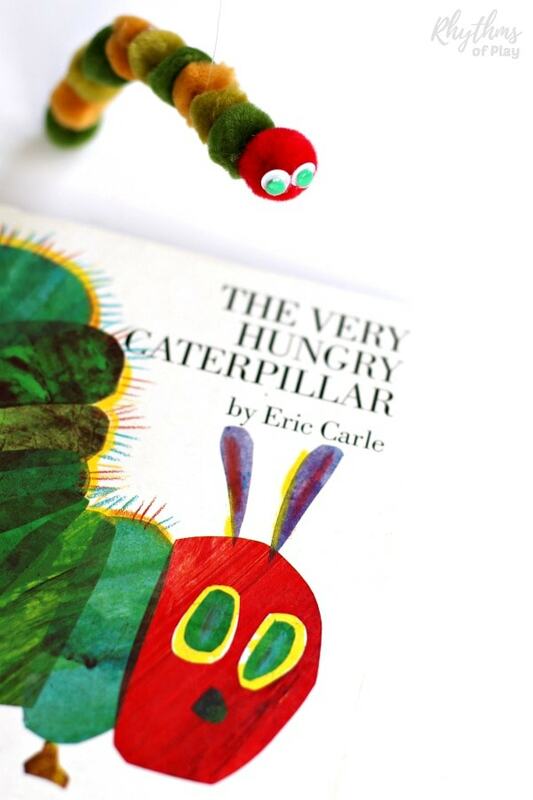 My daughter has loved The Very Hungry Caterpillar since she was a baby. Here she is in her hungry caterpillar pajamas reading her favorite book. Just look at the joy on her face! 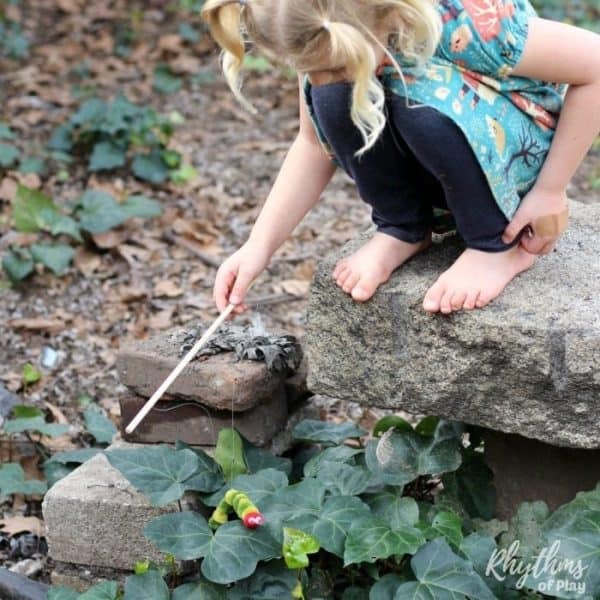 When she was in preschool she wanted to make a caterpillar craft that she could play with. 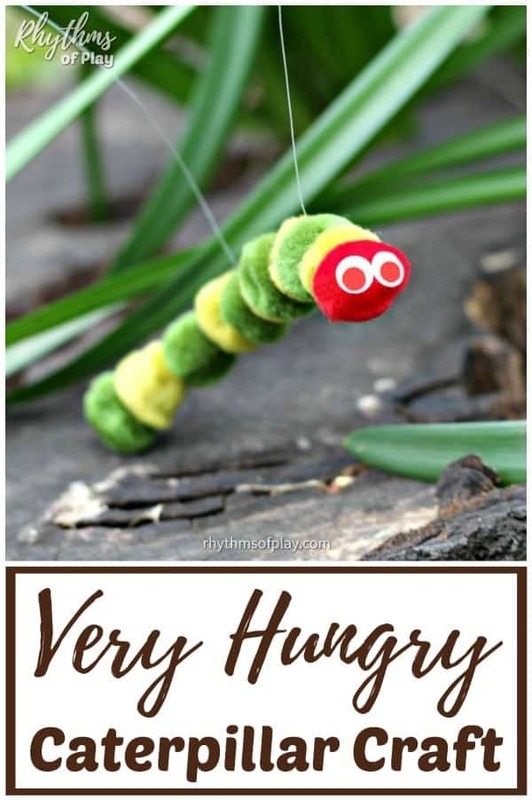 When I saw THIS hungry caterpillar puppet by Hanging Houses we fell in love! The original artist made her caterpillar craft with wool felted balls sewn together. My daughter and I wanted to make something similar that was quick and easy. We didn’t have a felting set , so we decided to use pom-pom’s and a low-temperature glue gun to make our own DIY Very Hungry Caterpillar Puppet! If even low-temperature glue guns and children at the same table make you scream safety hazard, use glue dots instead. 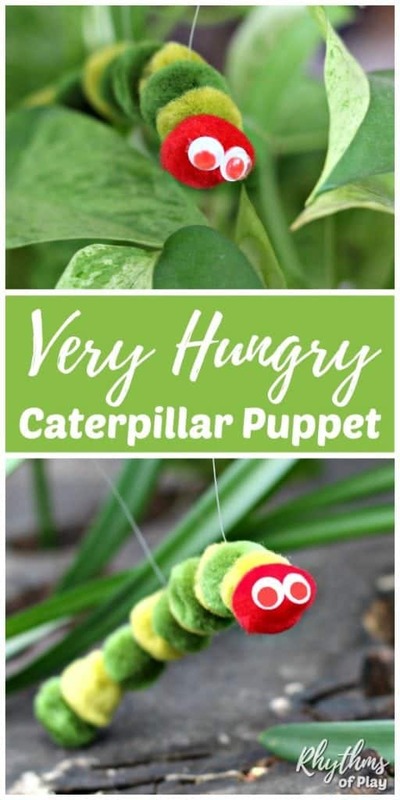 Just follow the hungry caterpillar puppet step by step directions below! My daughter and I made our first Very Hungry Caterpillar puppet together. Since I was busy helping her learn how to safely use a Low-temperature glue gun, I did not take any pictures of our process. I decided to make a second hungry caterpillar craft with a slightly different color combination for the photo tutorial below. I used a beautiful piece of driftwood for the second caterpillar puppet, while my daughter and I used a wooden dowel for the first hungry caterpillar craft that we made together. Since my daughter likes to hang her caterpillar puppet on her wall when she is not playing with it, I thought it would look a bit more like he belonged there. The driftwood makes this very hungry caterpillar craft into a lovely wall hanging in a child’s room! Use a low-temperature glue gun or glue gun with a low-temperature setting or glue dots for this caterpillar craft so you are less likely to burn yourself. NOTE: Even low-temperature glue guns are hot and dangerous tools! Make sure you teach your child how to safely operate a glue gun before inviting your child to use one to make this hungry caterpillar craft. If you don’t think your child can use a low-temperature glue gun safely, use glue dots instead. Step 1 – Gather the caterpillar craft materials listed above. We used 11 pom-poms and two googly eyes in various color combinations for each caterpillar puppet. Place a dollop of glue on one pom-pom and attach it to the next. Repeat until all 11 pom-poms are glued together. When my daughter made hers she squeezed the pom-poms tightly together, while I gave them some room so they appeared a bit rounder. Both worked and turned out great, but my hungry caterpillar craft ended up a bit longer than her caterpillar craft. Step 3 – Glue googly eyes to the face of the very hungry caterpillar craft. Use a low-temperature glue gun, or a piece of a glue dot to attach googly eyes in the color of your choice to the hungry caterpillar craft. 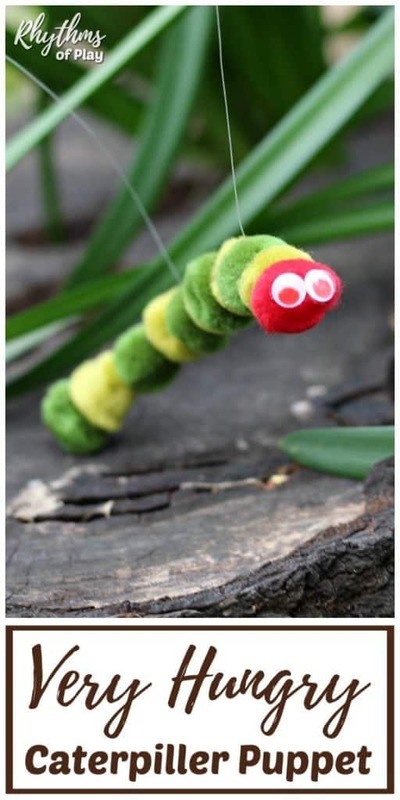 Use monofilament (fishing line) to tie the caterpillar puppet to a wooden dowel, stick, or small piece of driftwood. 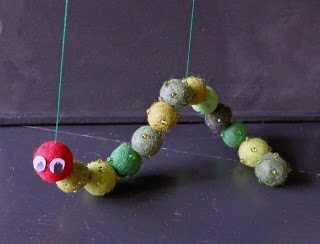 We tied caterpillar puppet to the wooden dowel after the 3rd and 7th pom-poms so the end of the caterpillar puppet was left free to swing and dangle. My daughter has already spent countless hours playing with her caterpillar puppet toy indoors and out. Happily chittering and chattering as she plays. Just like The Very Hungry Caterpillar, it eats a lot and gets a stomach ache. Then he too likes to eat green leaves to feel better… adorable! She also loves playing with her Very Hungry Caterpillar puppet in our backyard. Isn’t he cute? If you like the dress she’s wearing in the photo above head over to have a look at How to Sew a Jersey Knit Peasant Dress. 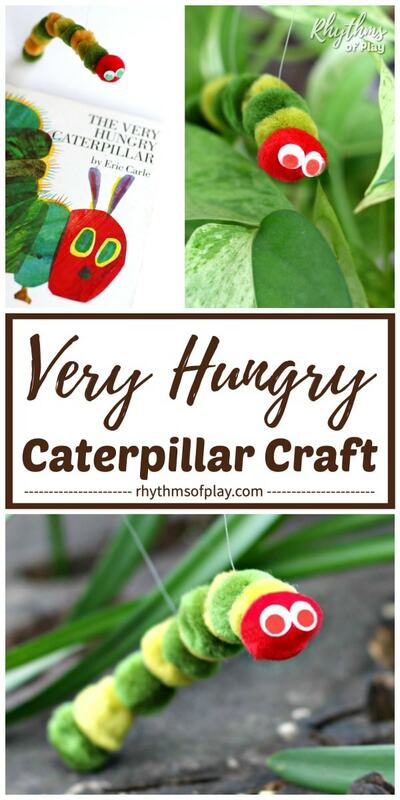 Making a DIY Very Hungry Caterpillar puppet for pretend play is an easy homemade craft kid’s can make. 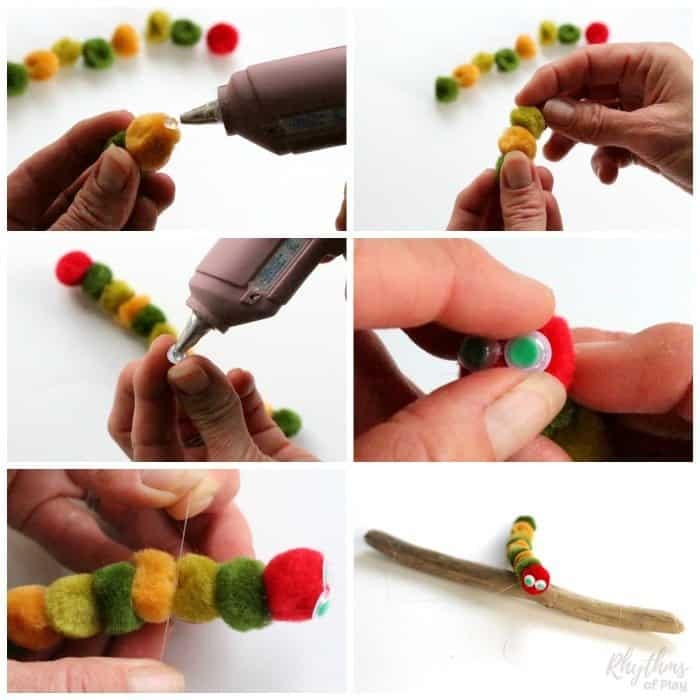 It only takes about 5 minutes from start to finish to make one of these cute little caterpillar crafts inspired by popular children’s book. Use your hungry caterpillar puppet for imaginative or dramatic play, in story baskets, and as an addition to a butterfly theme or nature study unit. This hungry caterpillar craft also makes a great DIY birthday party favor for a child’s birthday party. For more spring fun be sure to have a look at our spring bucket list of fun activities for kids! This is the cutest craft to go along with the story!! An excellent prop that is really quick to put together! I will have to remember this to make in the future within the Early Years settings! Its perfect! Thanks so much for joining in our National Reading Month challenge. It has been great having you on board! Oh my goodness, this is gorgeous! Love it and I know my kids will too. Thanks! Thanks, Ann! My daughter had a lot of fun making one of these, and she is loving it as a toy too. Keeps her busy for hours! This is too adorable. My son would have loved this little craft when he was little. 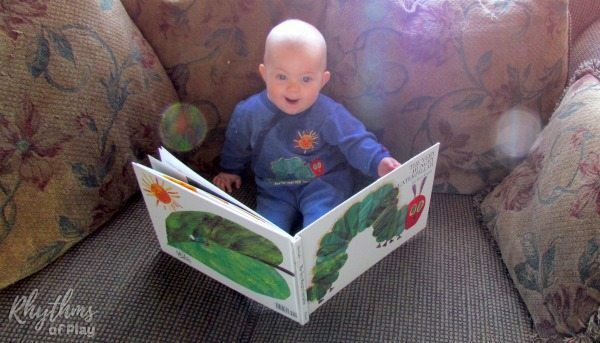 He was a big fan of The Very Hungry Caterpillar! Thanks Rebecca! The Very Hungry Caterpillar was one of my favorite books when I was a kid, and now it is one of my daughters. So glad your son loved it too! 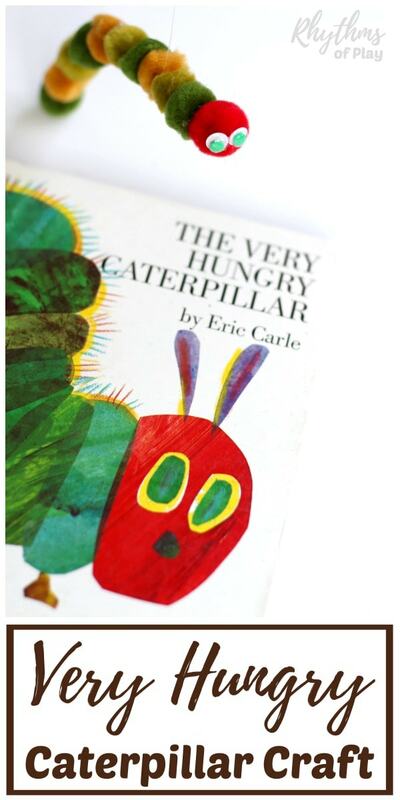 We’re watching caterpillars grow and change in our Pre- K class right now and VHC is our book! My students will love this! Nell, do you know the size of the pom poms & eyes you used? I used pom poms that were about 3/4 inch in diameter, and eyes about 1/4 inch in diameter, but you could use any size. A bigger one would be fun!